The Blue Nose Pitbull is the American Pitbull Terrier, just blue. In recent years, the Pitbull Terrier has gained a bad reputation, as they became popular for being used in dog fighting. Many people believe they are dangerous. However, for hundreds of years the American Pitbull Terrier was known as a “Nanny Dog” for their reliable temperament with small children and families. They are affectionate and loyal to those they know the most, they love to play and make the best family dogs. If you want to fall in love with a Blue Nose Pitbull, carry on reading this article to find out more about them. What is a Blue Nose Pitbull? Is A Pitbull A Good Family Dog? How Much Do Blue Nose Pitbulls Cost? The Blue Nose Pitbull is either, an American Pitbull Terrier or American Staffordshire Terrier, or a mix of both. They have specific genes to make their coat a blue like color. They are a rare dog because the coloring is caused by recessive genes. To express these genes, breeders need two parents who are ‘blue’ to produce ‘blue’ puppies. The blue coloring is caused by a diluted black pigment called eumelanin – this same pigment also causes the blue eyes and nose. 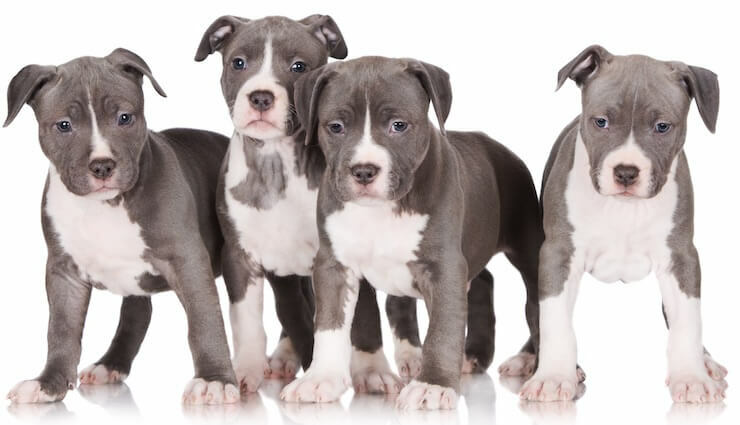 American Pitbull Terriers have a long ancestry, they were bred for hunting originally in England. Commonly used for bull and bear baiting in the 19th century and consequently banned as a breed in the UK. When the American Pitbull moved to America they were used as farm dogs, for hunting and protecting land, and for companionship. Because of their bad reputation and stigma Pitbull Terriers are not recognized by the American Kennel Club. The Blue Nose Pitbull looks just like an American Pitbull Terrier, but blue in color. Pitbulls have a broad face and a short muzzle. With blues specifically having small blue eyes and a light gray nose. They have a stocky and athletic body, with defined muscles. Weight can vary depending on the puppy’s parents’ size and genes. As with most mammals, females will tend to be smaller than males. A fully grown blue nose weighs between 30-60lb and is between 18-21 inches tall. The Blue Nose Pitbull isn’t really blue, just a light gray. Their coat is typically a solid color, and sometimes it can be brindle stripe, which is when it appears to be tiger striped. Sometimes they will have face markings; white markings in-between the eyes and down to the nose. They can also have white markings on their chest, and their feet, making it look like they are wearing little shoes. The Pitbull has a very short and stiff, glossy coat. They will only require occasional brushing, and do not shed all year round. They will shed a little twice a year though. Their temperament is like any other American Pitbull Terrier: loyal, loving and playful. Even though this breed is affectionate towards people, they are not great with other dogs. 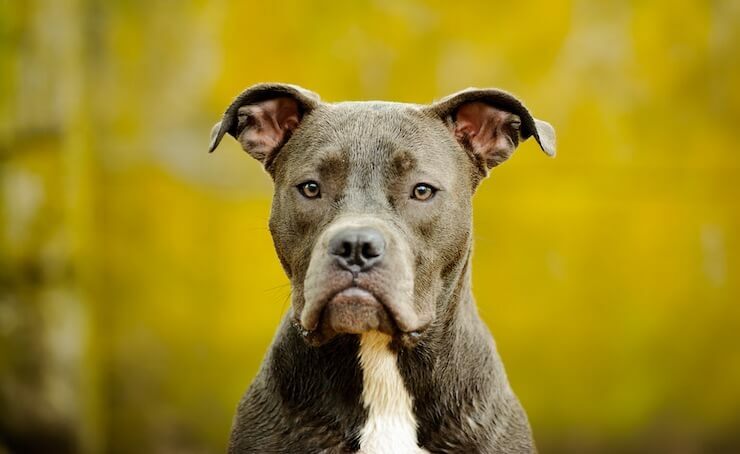 As this study found, American Pitbulls were aggressive to unfamiliar dogs, but not people. They are very energetic, and playful. Like most active and intelligent breeds, they can become easily frustrated with boredom and will chew everything in sight. They are also very keen diggers, so it’s a good idea to have a designated area in your yard where your dog can burn some energy off. They quickly form strong bonds and will become attached equally quickly. Suffering from separation anxiety and becoming destructive out of frustration, they won’t do well on their own for long periods of time because of this. Yes, in 19th Century Britain, these dogs were used as “Nanny Dogs” to guard and play with children. So they can be great with kids, if trained and socialized well at an early age. Pitbulls love kids, but it’s best to always supervise your dog with a child and teach them basic dog language. As they were bred for hunting, they will be prone to chasing prey and other small animals, they may be prone to chasing small children. They are very affectionate and will become attached to every family member. It was found that dogs which are prone to suffer from separation anxiety show less symptoms in large families. This is a smart breed, but, one which can be stubborn at times. Be patient when training them. Provide them with consistent and short training exercises, and overtime you will have a well trained dog. The best method of training is by positive reinforcement, this has been proven to be the most effective. Punishment can cause unwanted and problematic behaviors and health issues in your dog. Give your dog a reward when they follow your command. You can give them a treat, praise or more play. Start training your blue nose puppy the moment you bring them home. This breed needs a lot of mental stimulation, this prevents boredom and destructive behaviors. To avoid them chewing your new shoes, you can keep them occupied by giving them some tough, sturdy toys. Pitbulls have powerful jaws and will break soft toys easily. You can also give them puzzle feeders to test their intelligence, such as a Kong. To make training more fun, you should play with your dog after training them. This has been proven to improve your dog’s memory and relives stress. Play games like hide and seek. They will also benefit from agility games and sports, so you could put an obstacle course in your garden. This breed in particular will need early socialization, take them to puppy classes and expose them to a range of people and children. They are a very energetic breed and want constant attention. They are not suited for apartments and don’t do well on their own for too long. This dog is a very energetic and playful breed, they need regular exercise to prevent boredom and obesity. They should have at least a 90 minutes’ worth of exercise each day. This can include walks, jogging, and regular play. When walking your Pitbull, it is advisable to keep them on a leash and avoid dog parks. As the Pitbull is known for its unpredictable behavior around unfamiliar dogs. The Blue Nose Pitbull was bred for hunting, which means they are very athletic. Agility sports would be very beneficial for this breed as this can give them the exercise and mental stimulation they need. Grooming the Blue Nose Pitbull is fairly easy and straightforward. They are not a high maintenance dog. 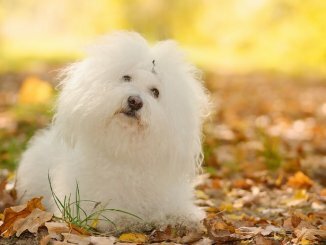 They have a short and stiff coat that only needs brushing and bathing occasionally. You should brush your dogs’ teeth regularly, or give them a dental stick alternative, to keep on-top of oral hygiene. 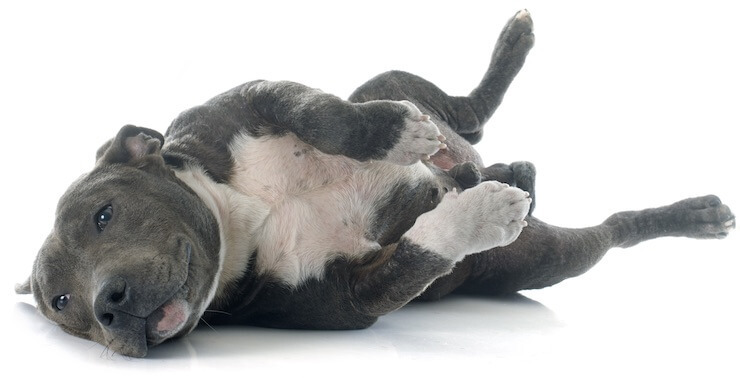 Make sure you clip your dogs’ nails regularly to avoid overgrowth and splitting. Check your dogs’ ears for wax buildup and debris to avoid infections. Finally, make regular grooming a positive experience for your dog, as this is part of your dogs’ regular routine and this will help to build a strong bond with your dog. For a dog to have a healthy life they need to eat a balanced diet. Dogs need protein, as this can be converted into glucose for energy. In fact, it’s better for dogs to eat meals with high protein content. How much you feed your dog is dependent on how much they weigh and how old they are. A smaller Pitbull should be fed around 1.5 cups of kibble a day divided into two equal meals and 2.5 cups for larger Pitbulls. Meals should be once in the morning and once in the evening. A puppy should be fed more frequently than mature dogs. When you bring a puppy home you should feed them the same food the breeder fed them to avoid any stomach upsets. How Long Do Blue Nose Pitbulls Live? Their lifespan is between 12-15 years, however; exercise, diet, activity levels and genes can play a large role in the aging process of dogs. As with any dog, you should find a reputable breeder. These dogs are rare and expensive. People will con potential buyers by inbreeding to get the perfect blue color. This can cause serious health issues for the puppy. To ensure this doesn’t happen to you, you should always ask the breeder to see the litter with mom. This will give you an idea of what temperament the puppy has and what mom’s health is like. You should ask as many questions as you can, for example: what they are feeding the puppies, what socialization have they been exposed to, how many litters has mom had? A careful breeder will also ask you questions and will want to make sure you are suitable for one of their puppies. 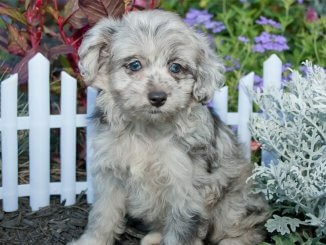 They should also provide health certificates for the dam and will tell you if the puppy’s vaccinations are up to date. 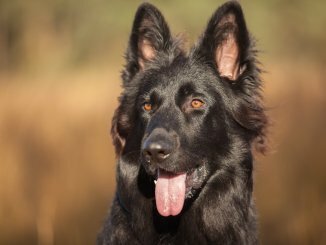 As inbreeding can be a problem in this breed, it is best to find a breeder that will uses genetic screening to their advantage. This can reduce the prevalence of hip dysplasia in dog populations. A puppy should be at least 8 weeks old to leave mom. They can cost from $1,000 to $3,000 USD. The more expensive dogs are more likely come from reputable breeders, as it costs a lot of money to keep dogs healthy to breed. 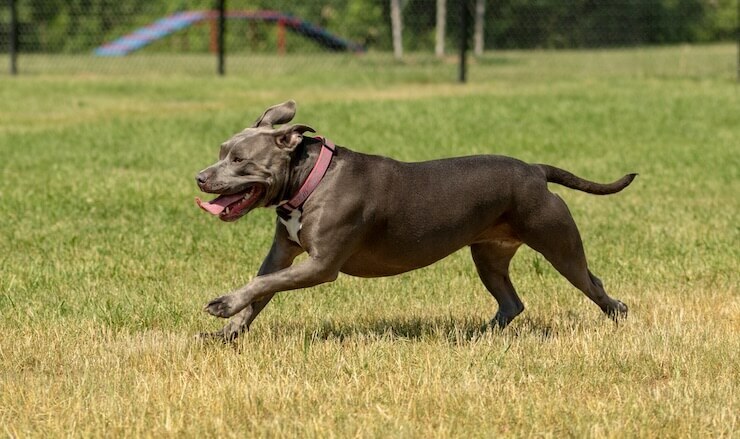 The Blue Nose Pitbull is best suited for an owner who isn’t afraid of the bad reputation the Pitbull has. They will love you unconditionally, forming a strong bond between them and your family. They will want to play the day away with you and can become a little clingy. Pitbulls need a lot of love and exercise. 90 minute walks a day and other play is advised to occupy these pooches. They don’t shed a lot and won’t need regular brushing. Blue noses have lots of love to give and will thrive in big families where they can get attention from everyone.